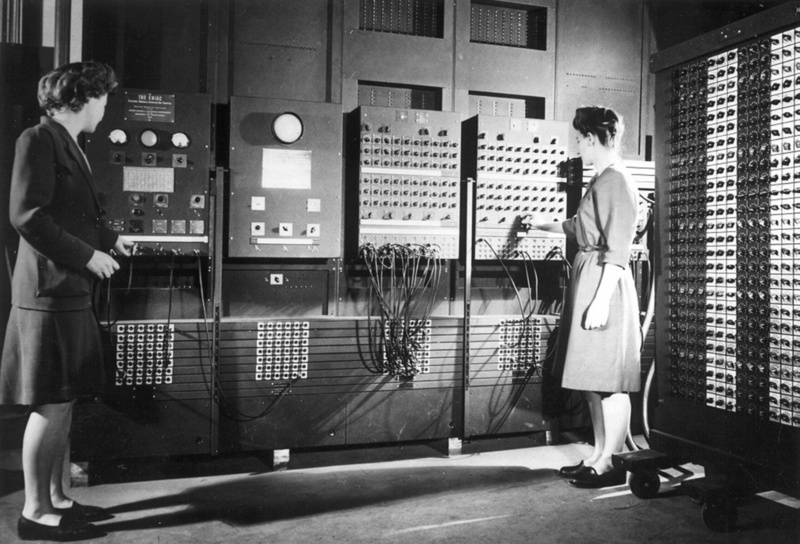 Jean Jennings (left) and Frances Bilas set up the ENIAC in 1946. Bilas is arranging the program settings on the Master Programmer. She's thinking of Ada Lovelace, also known as the Countess of Lovelace, born in 1815. Walter Isaacson begins his new book, "The Innovators: How a Group of Hackers, Geniuses and Geeks Created the Digital Revolution," with her story. Can schools solve the tech industry's pipeline problem?